This is my first Real Grade kit, and I have to say I’m pretty excited. Bandai have been very vocal about the high quality of the Real Grade Gundams, going as far to call it Perfect Grade technology at High Grade scale. 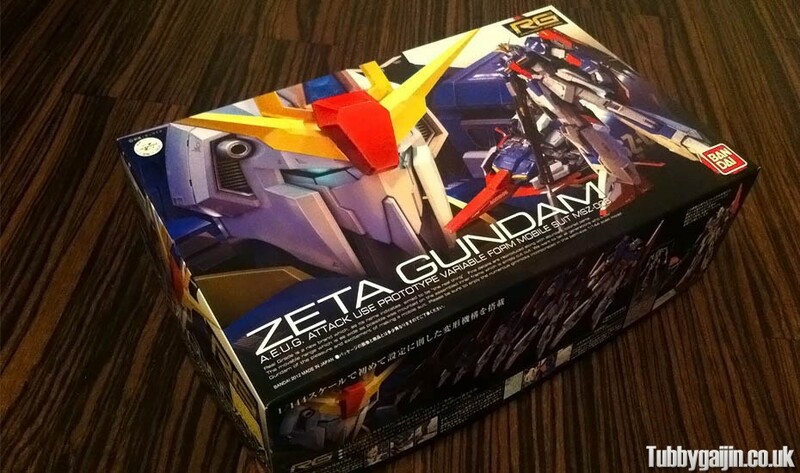 I think I picked a good one for my first RG – the fantastic Zeta Gundam, portrayed here in 1/144 scale with its transformation ability intact, now that’s impressive. 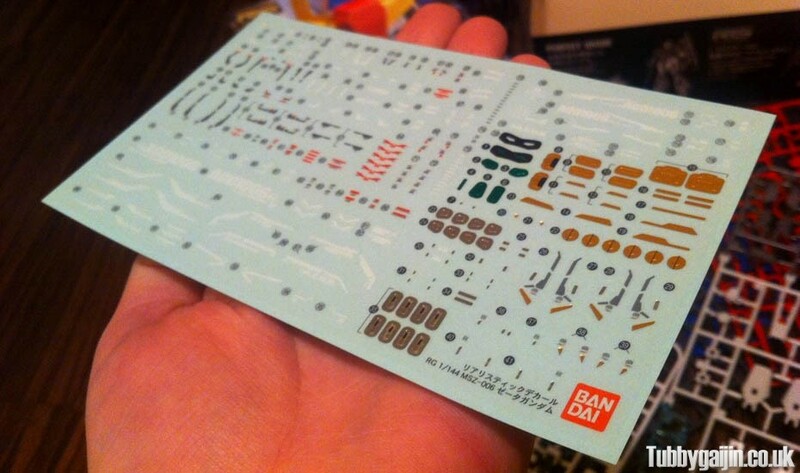 Woah, eleven runners for a 1/144 kit?! That’s madness! There are parts for an almost full skeleton but interestingly no polycaps! Two sets of beam saber blades are included, one short and one long. And look at all the stickers, adding all these would result in ridiculous detail. 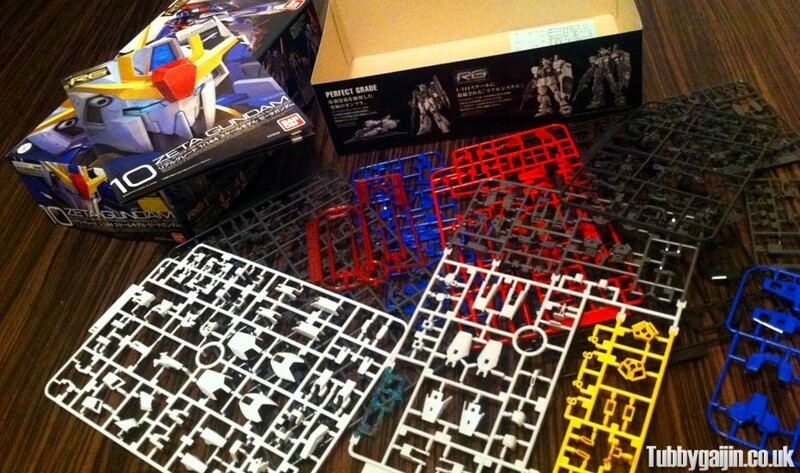 This will be an interesting one for sure, I’m a little concerned all these small pieces plus the transformation gimmick might make this kit a bit flimsy, but we shall see!